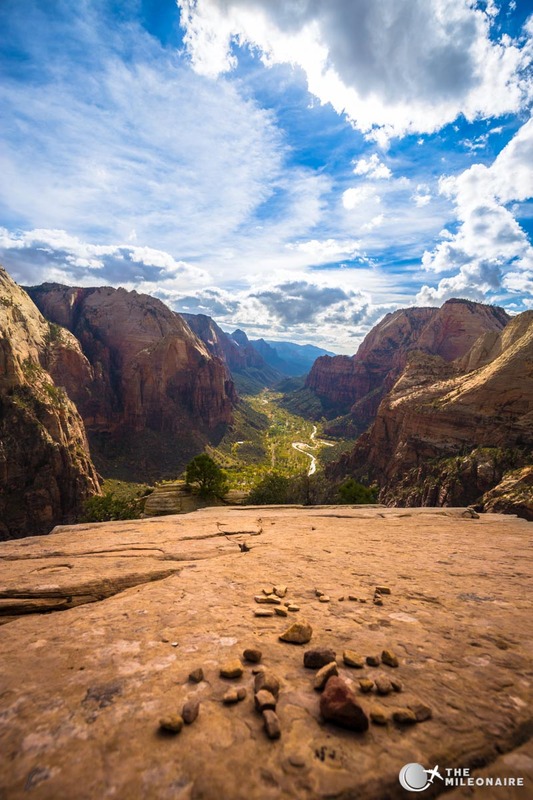 During my second visit at Zion National Park I was finally able to cross one its highlights off my bucket list: the famous Angel’s Landing Hike! To make the strenuous hike all worth it, I took all my camera equipment (yes, every lbs of it…) to the top to take some photos and write my trip report. 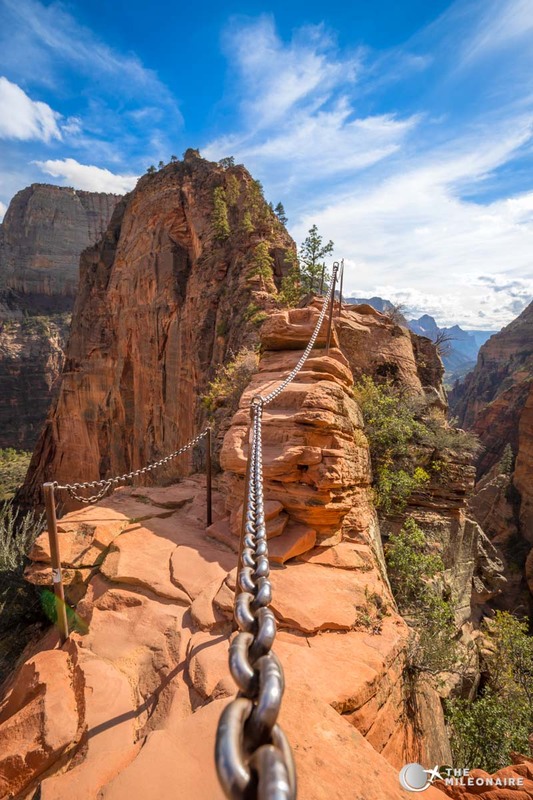 The Angel’s Landing Hike at Zion National Park is famous for its spectacular views, but also for the steep drops on the left and right. 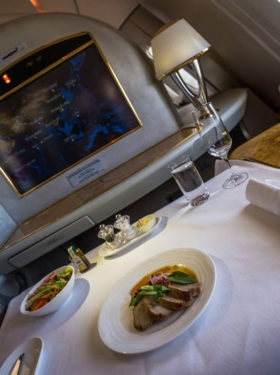 The roundtrip is supposed to take 5 hours, although it can easily be done in a shorter time. Don’t underestimate it though: the hike is strenuous and you need proper hiking gear, food, lots of water and physical fitness. 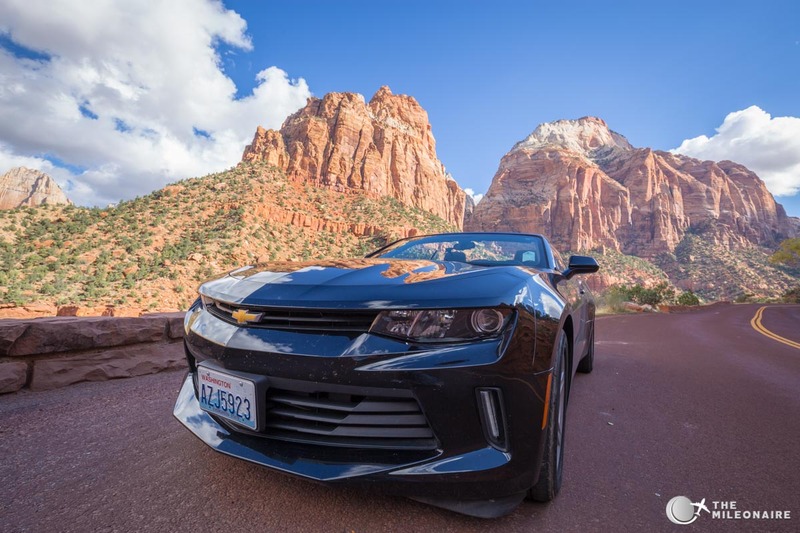 You want to get there as early as possible to avoid the heat during your ascend, so I took my Camaro to the park in the early morning. 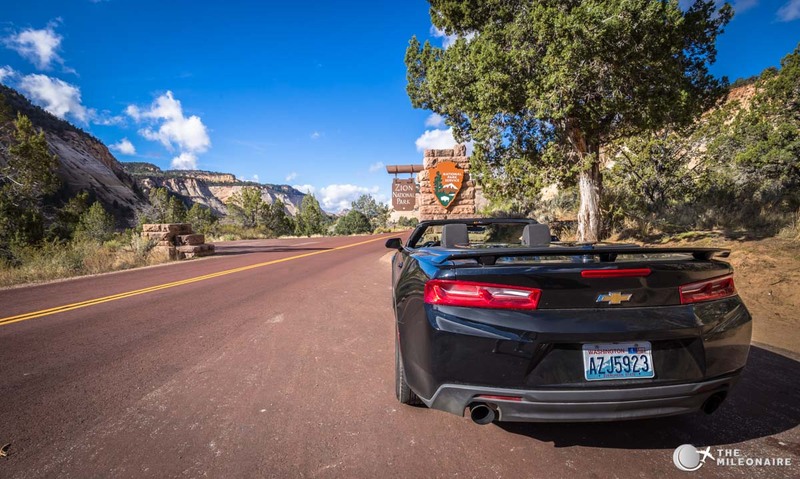 A great ride for summer: a Chevrolet Camaro Convertible, rented at Sixt! …but gets pretty steep after some time. 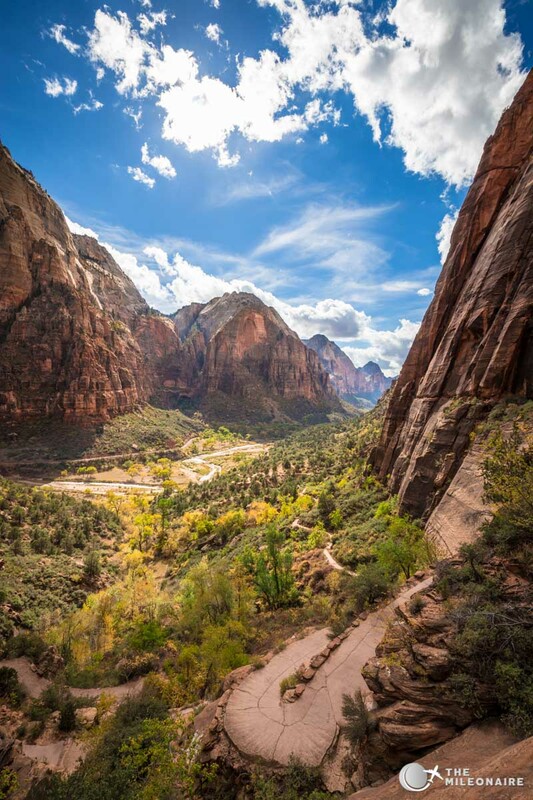 The hike gets a lot more strenuous after some time though: the hiking paths are good, but pretty steep – and definitely not made for flip-flops (trust me, I’ve seen some visitors actually try to hike Angel’s Landing with flip flops). Once you’ve reached the first plateau, the hike leads you deeper into the mountain until you reach “Walter’s Wiggles”: steep switchbacks that take you further towards the top. 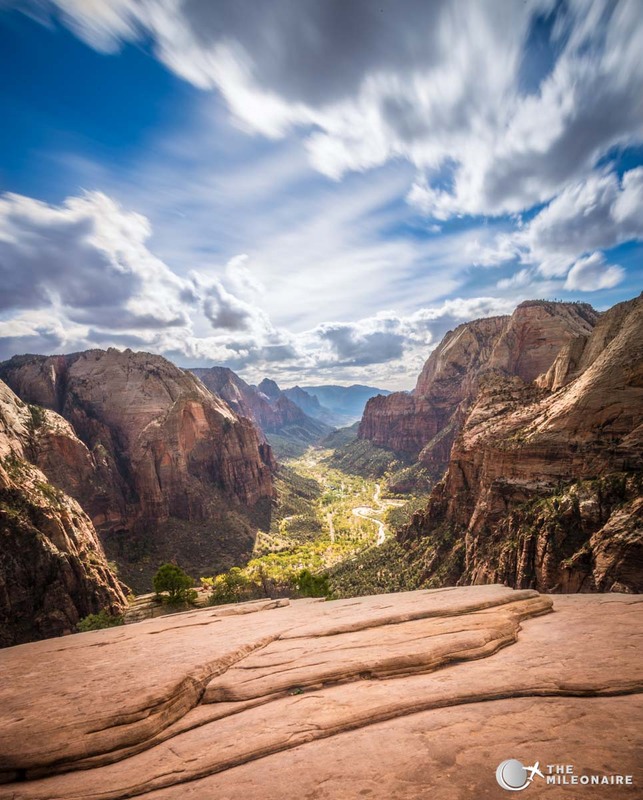 After about 1:30h you should reach the “Scout Overlook”, where nearly all hikers took a break and enjoyed the great views across Zion National Park. At this point I was considering turning back and call it a day for a short moment, but I just had to keep on going to reach the summit. The view from “Scout Overlook”, where you should definitely have a quick break during your ascend. 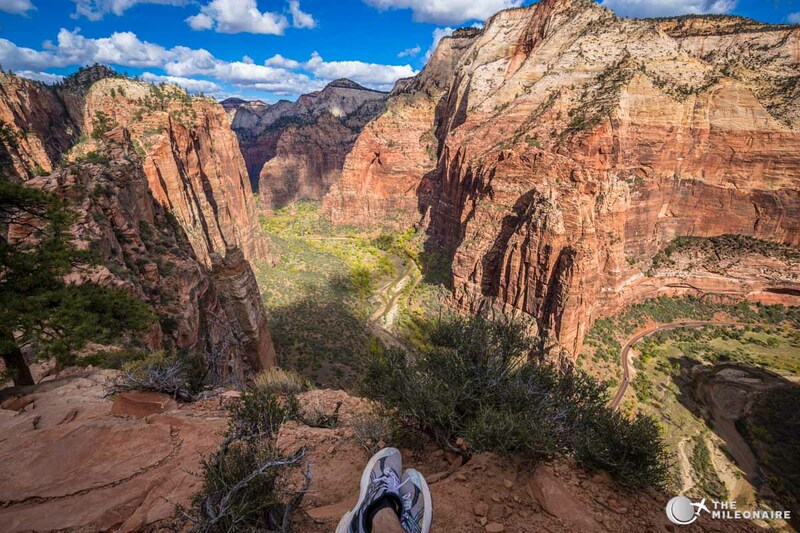 My goal for that day straight ahead: Angel’s Landing! 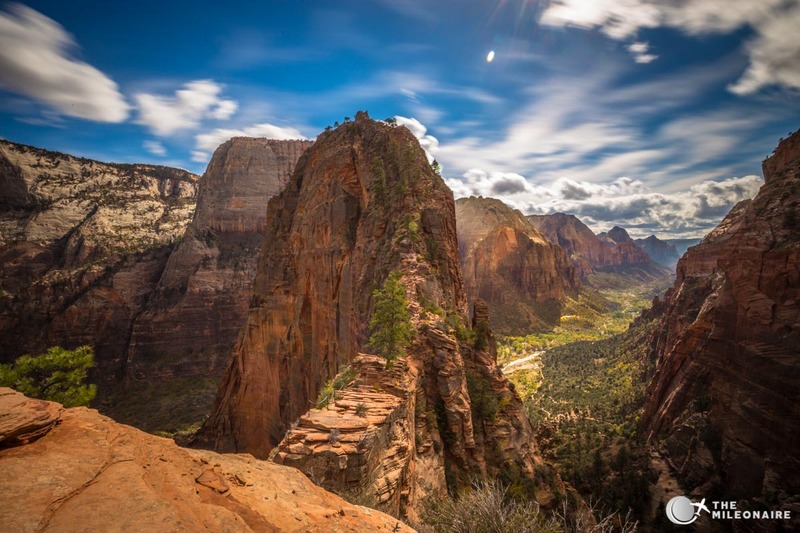 Angel’s Landing: There’s the peak! 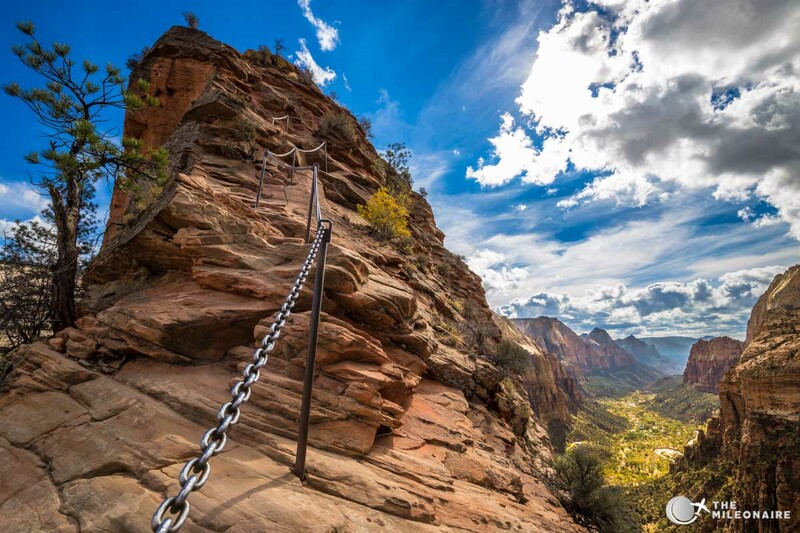 The chains at Angel’s Landing: the only way to get up! 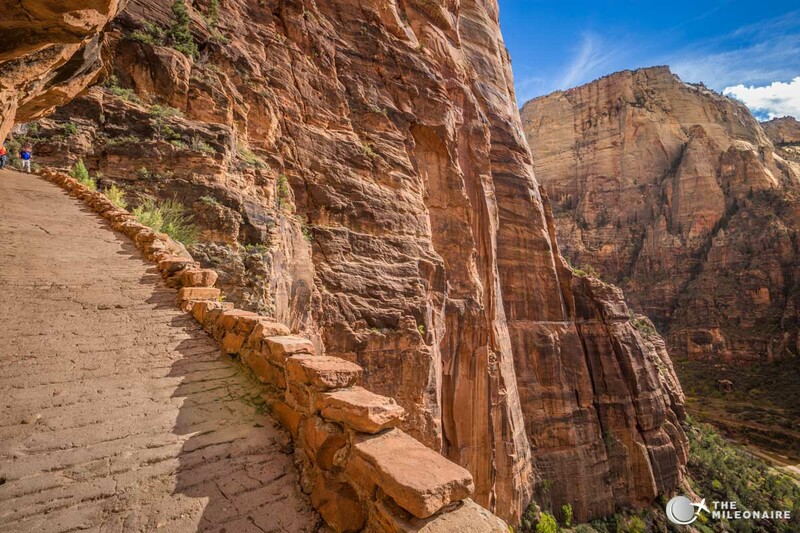 You can feel what one false step could mean, so close to the peak of Angel’s Landing. 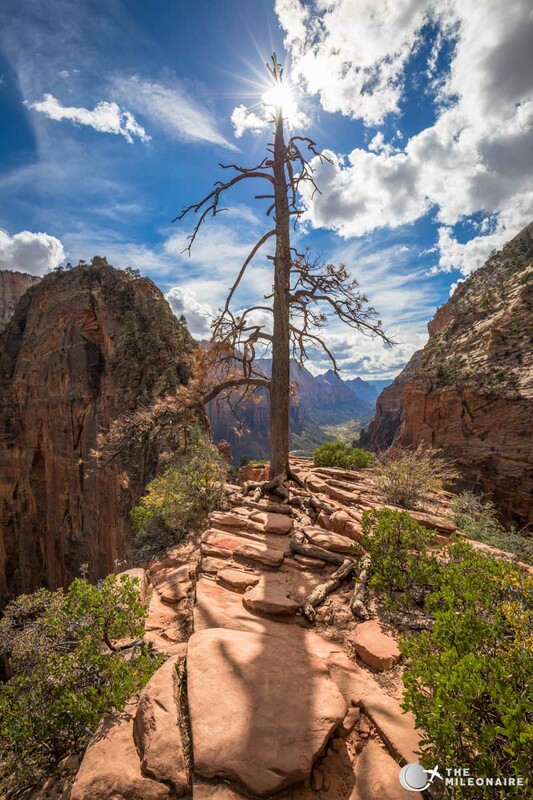 Angel’s Landing: I made it to the top! 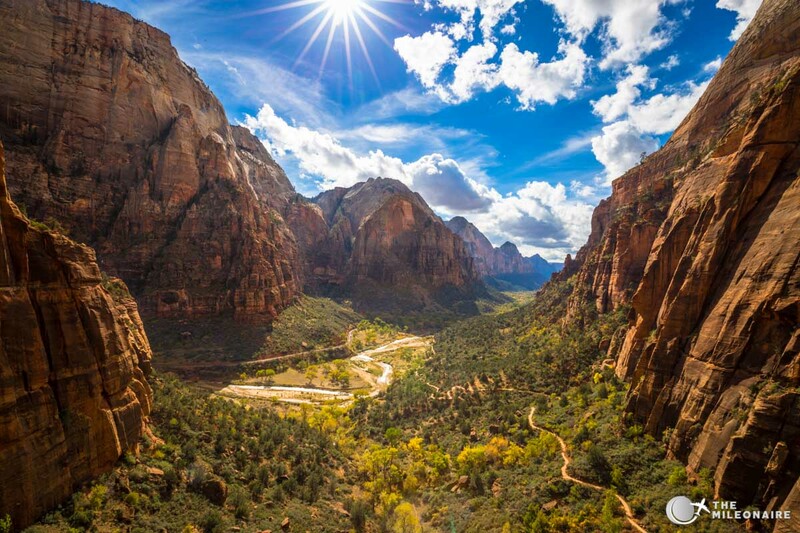 The view of Zion Canyon. After that I started the descent again; my water bottles were getting emptier and emptier, and the sun at noon was getting hotter and hotter. While climbing up Angel’s Landing is exhausting, the descend felt pretty relaxing to me. Especially the flat parts can nearly be done jogging. After just about 4:30h (including 45 minutes for photos) I arrived safely back at the Grotto shuttle stop and took the shuttle back to the parking lot, where my Camaro was waiting for me to take me back to my hotel. 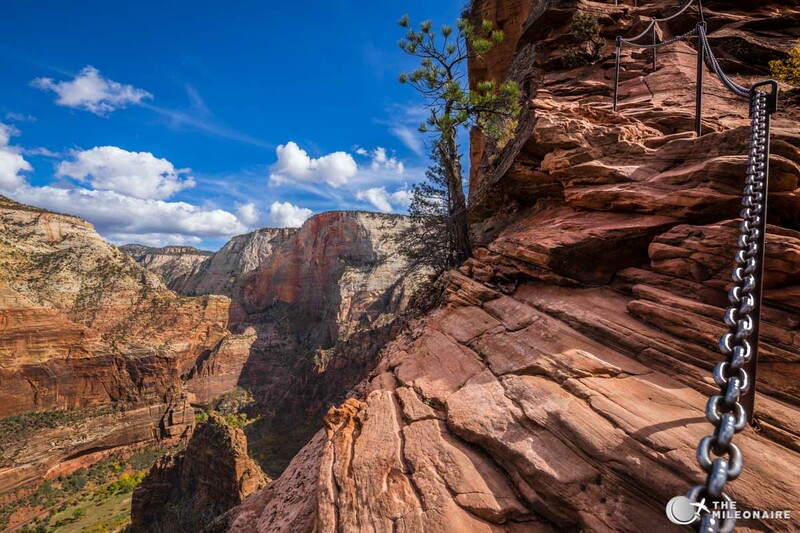 Angel’s Landing is the definite highlight of every visit to Zion National Park, even tough the way up there is surely not easy. If you don’t have the physical fitness for strenuous hikes, you should think twice if you want to try it; one false step at the top, and you might drop. If you make it though, it is one of the most incredible experiences you can have in the Southwest of the US. 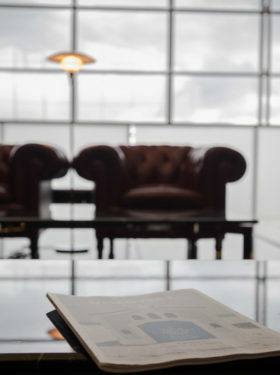 ECO Deal: Fly from Germany to the US (lots of cities!) for 280€! 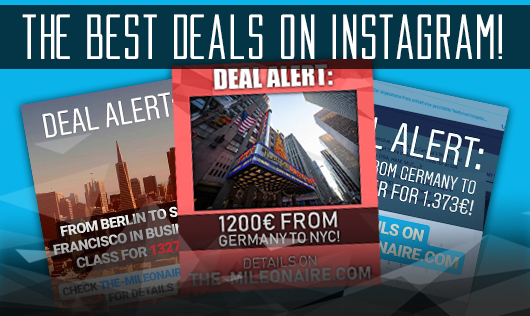 DEAL ALERT: From Germany to New York for 1200€! MEGA DEAL: Business Class from Berlin to San Francisco for 1,327€! 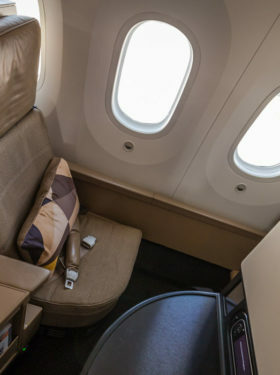 DEAL ALERT: Business Class from Germany to Vancouver for 1.373€! How to get to Bagan? | Your Guide! Flying in Myanmar | A Guide!